Finding Maroon 5 “Payphone” covers was like trying to find something fun do to at Disney World. Everywhere I looked, there was another amazing cover, that was even better than the last. There were so many to chose from, that I had to stop at the first 5 covers I fell in love with. Each of these five covers are fresh, original, and slightly better than the rest. Whether this is an easy or tough decision for you, we need your help! Vote for the cover you like best. Tweet, Facebook and message everyone you know to help your favorite band or artist win! While this Cover Wars is running, if you tweet @hrctweets with the hashtag #hrccoverwars you will automatically be entered to win signed merchandise from your favorite artist! 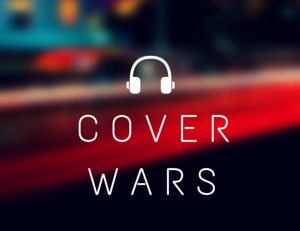 This cover wars ends at midnight CST on Friday, May 18th. Previous article 'The Secret Circle' Recap Episode 1.22 Finale "Family"- Crystal Skulls and Heartbreak. Um. Paradise Fears for days. K bye. How embarrassing…. I spelled Marcus wrong…. PARADISE FEARS. lets do this turtles! PARADISE FEARS ALL THE WAY !